You can choose from many colours options (42 options!) - all of which are guaranteed to brighten up any room. Our armchair has a side, easy-access pocket for books or another favourite kid's things. You can own our armchair together with pouf. 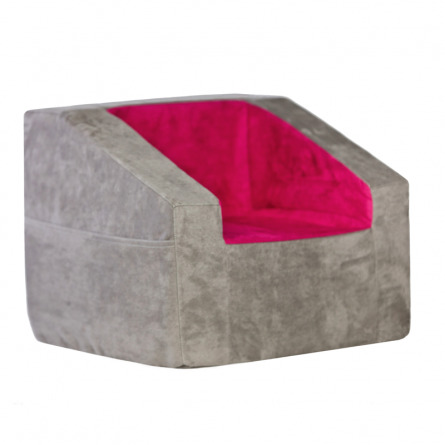 Our poufs are brilliant for little foot rest or can be just an extra soft toy. Available in two sizes (mini or midi). Give your kid a special place for reading or having fun. This may be the best kid chair you ever own!